Follett, the son of Martin and Veenie Follett, was born in Cardiff, Wales and lived there until the family moved to London ten years later. Barred from watching movies and television by his devoutly Christian parents, he developed an early interest in reading but remained an indifferent student until he entered his teens. Applying himself to his studies, he won admission in 1967 to University College London, where he studied philosophy and became involved in leftist politics. He married his first wife, Mary, in 1968. After graduation, in the fall of 1970 Follett took a three-month post-graduate course in journalism and went to work as a trainee reporter in Cardiff on the South Wales Echo. After three years in Cardiff, he returned to London as a general-assignment reporter for the Evening Standard. Finding the work unchallenging, he eventually left journalism for publishing and became, by the late 1970s, deputy managing director of Everest Books. He also began writing fiction on evenings and weekends as a hobby. Success came gradually at first but the publication of his third novel, Eye Of the Needle, in 1978 made him both wealthy and internationally famous. Each of Follett's subsequent novels has also become a best-seller, and a number have been made adapted for the screen. Follett became involved, during the late 1970s, in the activities of Britain's Labour Party. In the course of his political activities, he met the former Barbara Broer, a Labour official, who became his second wife in 1982. She was elected a Member of Parliament in 1997, representing Stevenage, and was re-elected in 2001. Follett himself remains a prominent Labour supporter and fundraiser. 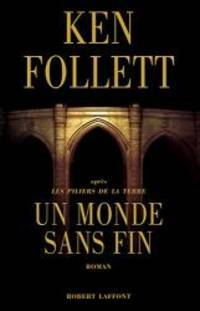 Leaving aside two competent but undistinguished early works, The Modigliani Scandal and Paper Money, Follett's literary career has gone through four distinct phases. The first, and most distinguished, phase comprises The Key To Rebecca, for example, hinges on the workings of a particular type of secret code, an Eye of the Needle. All six books--including On Wings Of Eagles, the non-fictional story of an attempt to rescue two Americans from Iran after the 1979 Revolution--follow the basic conventions of the thriller genre. All six, however, use those conventions in unconventional ways: making the 'hero' of Eye of the Needle a German agent, for example. The second phase of Follett's career was a conscious departure from the first: a series of four historical novels written in the late 1980s and early 1990s. The Pillars Of the Earth, the first of the four, set the pattern for the three that followed. Unlike Follett's earlier thrillers, it featured a large cast, multiple plotlines, occasional outbursts of violence, and extensive use of historical background. Pillars, set mostly in medieval England, followed the building of a cathedral. Night Over Water was a Grand Hotel-style tale that took place aboard a transatlantic seaplane flying from Lisbon to New York on the eve of World War II. A Place Callled Freedom took place in Britain's North American colonies around the time of the American Revolution. 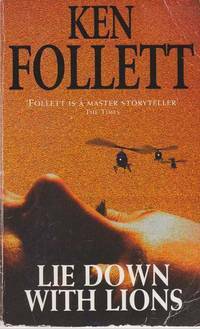 Follett changed literary gears a third time in the late 1990s, with a pair of books set firmly in the present and using high technology as a plot device. The Third Twin on the darker aspects of biotechnology. The two novels--seemingly an attempt to mine the same fictional vein as Michael Crichton--were comparatively unsuccessful. Reviewers, as well as many readers, found the characters shallow and the effort required to suspend disbelief too great. Code To Zero, an espionage story pitting Soviet and American agents on the eve of America's first satellite launch. The World War II adventures Jackdaws and Hornet Flight put Follett firmly back where he began: writing about daring agents operating undercover behind enemy lines, charged with a mission that could change the course of the war. 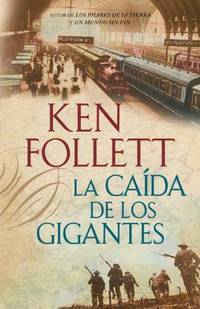 Some critics and readers hailed them as a welcome and long-overdue return by Follett to the kind of story he writes best. Others regarded them as old wine in new bottles: rehashings of themes and situations he had treated more interestingly in his earlier work.